DO NOT DELAY! These bikes will sell out quickly. Available in black/white. 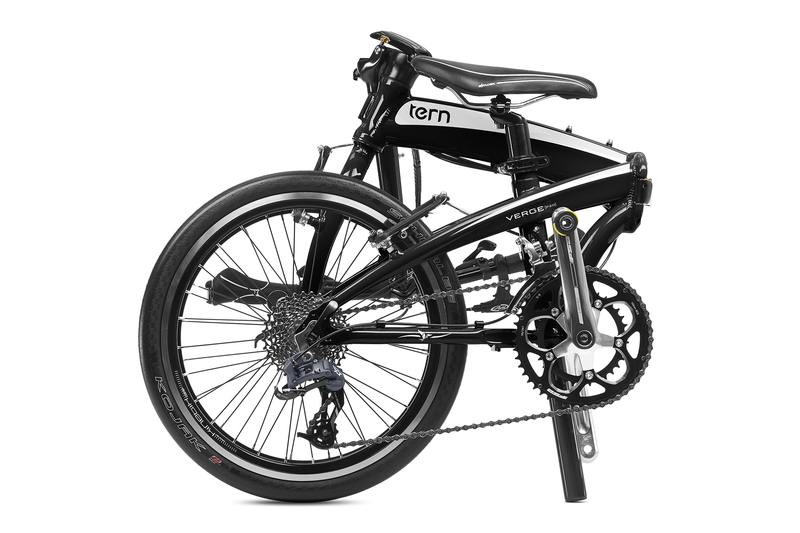 We just got word that Tern is releasing a limited number of ultralight, high end folding bikes for immediate sale. They’re not in stock, but will arrive the last week of June. 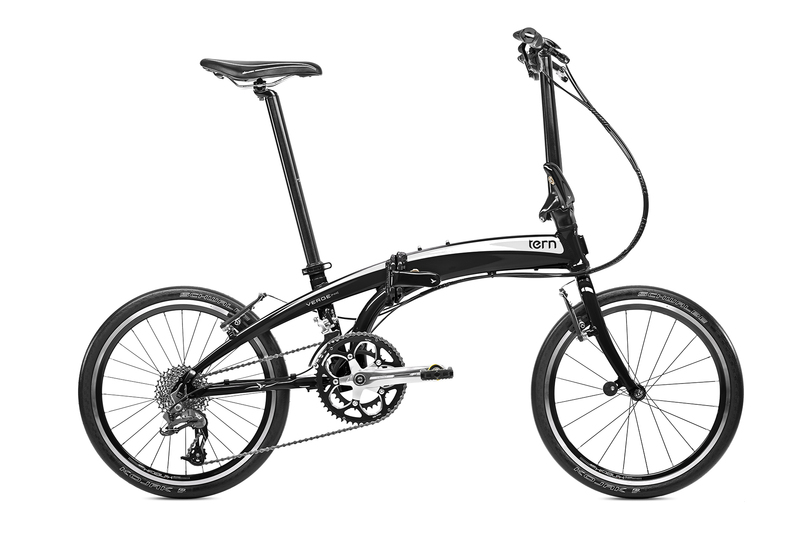 Call 415-974-6550 or email us at warmplanet@warmplanetbikes.com to order. The Verge P20 is perfect for a demanding commute, or a fast and exciting sport ride. The Kinetix Comp level wheels with sealed bearings are durable and light and the SRAM X7 2×10 drivetrain handles a wide range of conditions; hills and high speeds both. The shiny black and white finish is both eye catching and easy to keep clean. A T-tool stashed in the bar end plug means that minor repairs are easy even when you’re far from home. Gear range: 25" - 95"